Dooble 2019.04.04 is the latest software release. Dooble 2017.11.05 was released on 2017.11.05 and is the first release of the next-generation Dooble Web Browser. The new release offers a totally-new Web-browsing experience. Welcome to the 2019.04.04 release of Dooble. Corrections and new features are detailed below. Welcome to the 2018.09.20 release of Dooble. Corrections and new features are detailed below. Welcome to the 2018.07.04 release of Dooble. Corrections and new features are detailed below. Allow removal of unchecked cookie domains. Reconnect QWebEngineCookieStore::cookieAdded() after count milliseconds upon initialization, where count is the number of processed cookies. Welcome to the 2018.04.30 release of Dooble. Corrections and new features are detailed below. Welcome to the 2018.04.04 release of Dooble. Corrections and new features are detailed below. Welcome to the 2018.03.20 release of Dooble. Corrections and new features are detailed below. Welcome to the 2018.03.15 release of Dooble. Corrections and new features are detailed below. Welcome to the 2018.03.03 release of Dooble. Corrections and new features are detailed below. Welcome to the 2018.01.25 release of Dooble. Corrections and new features are detailed below. Display the splash screen until containers have been populated. Drag-and-load links. Pages may be loaded by dragging links onto address widgets. Reload the current page if a blocking exception has been approved. Tab-key navigation on various table widgets. Welcome to the 2018.01.15 release of Dooble. Corrections and new features are detailed below. Remove artificial shortcuts from tabs. Some pages include ampersands in their titles. Welcome to the 2018.01.10 release of Dooble. Corrections and new features are detailed below. Corrected potential dereference of zero pointer (s variable) in threefish_decrypt_implementation(). Corrected site icons in the address widget. Include portions of the Documentation directory in Debian and OS X packages. New context menu option in the History window. Prepare Favorites, History icons if pages have been deleted. Welcome to the 2018.01.01 release of Dooble. Corrections and new features are detailed below. A Qt 5.10.0 release. Ten years of Dooble! Allow restarting of completed downloads. Qt 5.10 is required. Confirm removal of items from the Favorites dialog. Corrected highlighting of address widget text. Problem arose if an item from the address widget's completer model was selected. Corrected pinning of visible Downloads window. Custom highlighting of address-widget items. New database field download_path in dooble_downloads.db. The database dooble_downloads will be removed. Apologies. Open Favorites links in new tabs via Control modifier and double-click. Pause and resume downloads. Qt 5.10 is required. Private-window downloads are purged if parent profiles are destroyed. Corrected. Special OS X provision for https://bugreports.qt.io/browse/QTBUG-65184. Welcome to the 2017.12.12 release of Dooble. Corrections and new features are detailed below. Avoid updating titles of Favorites. Visited sites may issue new titles. Corrected UTF-8 Favorites URL data. Icons were not properly initialized. URL processing lacked decoding logic. Corrected parents of separated pages. Problem causes abnormal termination. Corrected tab titles of pop-up windows. Date-order address-widget model. Also eliminated repetitive use of expensive method. New option for allowing pop-ups from domain-based URLs. Optional tool tips over hovered links. Override QWebEnginePage::chooseFiles(). The new implementation sets the file dialog's current working directory to the user's home path. Properly stack visited links in the address-widget model. Recent items must be placed onto the stack. Set QMAKE_LFLAGS_RELEASE += -Wl,-rpath,/usr/local/dooble/Lib in dooble.pro for non-Mac and non-Windows. Set Section in DEBIAN/control to net. The Debian package was missing the Qt5Svg library. As a result, some icons in file dialogs were not drawn. Welcome to the 2017.11.25 release of Dooble. Corrections and new features are detailed below. Certificate exceptions and private windows. Please read the official Dooble document for details. Corrected by-URL-host query in dooble_favicons::icon(). The query's bound parameter must be converted to Base-64. Corrected missing address-widget Favorites signal. Corrected retrieval of site icons. Decreased unnecessary file writes to dooble_settings.db with respect to Favorites sorting. If you're experiencing launch problems on Windows, please execute the bundled file vcredist_msvc2015_x86.exe. Improved loading of Favorites icons. Only the icons of items in the current view are loaded. Improved removal of voluminous cookie sets. Introduced SQLite indexes on the dooble_favicons database table. Load the correct URL after a certificate exception is accepted. Modified the populating of items in the History window's table. Instead of loading all icons, only the icons in the table's current view will be loaded. New Theme Color property. Please see the Display section of the Settings window. New search mechanism in Favorites. Populating of history items is now performed in a separate thread. Qt products have been upgraded to version 5.9.3. Rapid loading of address-widget icons. Removed extra container. The Debian bundle now includes the dooble.desktop file. Welcome to the 2017.11.11 release of Dooble. Corrections and new features are detailed below. Added ellipsis to the Decouple context menu item. Corrected ellipsis in the Certificate Exceptions menu item. Corrected potential dereference of zero pointer (s variable) in threefish_encrypt_implementation(). Debian AMD64 package. The package was created on Linux Mint 18.2 and verified on Debian 9.2.1 and Ubuntu 16.04.3 LTS. New Clear Visited Links within the Edit menu. If activated, contents of the local Visited Links file are removed. Numerous documentation corrections and improvements. Optional WebGL. Global and per-page. Remove items from address widget models whenever counterparts are removed via the History window. Removed ellipsis from the Save menu item. Titles provided by Web sites are now limited to 1024 characters. URLs provided by Web sites are now limited to 2048 characters. Welcome to the 2017.11.05 release of Dooble! 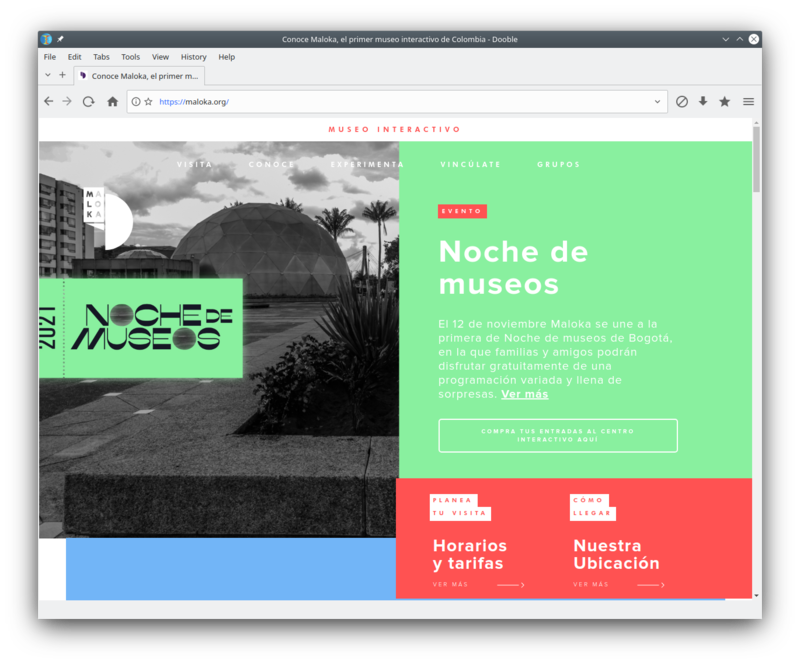 Dooble 2017.11.05 is a brand new Web browser. New icons, new logic, new source, new themes. Everything is new! Let's take a brief tour of some of the new features. Authentically-encrypted database containers are included. The optional feature includes the popular cipher algorithms AES and Threefish as well as the fantastic SHA-3 digest algorithm. Please note that both implementations of AES and Threefish are written by the author(s) of Dooble. Automatic and periodic removal of cookie data may be of interest. This feature allows Dooble to purge unwanted cookie data from your browsing history. Beautiful dictionaries are included covering various languages. When enabled, spell checking is too. Built-in content blocker with accept and block modes of operation. This new addition will prevent advertising sites from polluting your browsing experience. The feature may also be used in a school setting where it's desired that only specific sites may be accessed. Completely redesigned! Most of the major operating systems are supported, including your favorite Unix-like systems as well as Windows. Wherever Qt and WebEngine are supported, so is Dooble! Dooble is highly-configurable software. The internal workings are clearly visible. Tool tips are included wherever confusion may arise. Dooble is open source software and includes a very relaxed BSD license. Proxy support is of course included. Whether you enjoy using a private proxy or a public proxy, Dooble is attentive to your privacy. Qt 5.9.x and newer are required! WebKit has been deprecated and WebEngine is now the preferred layout engine for rendering Web pages. Release 2017.11.05 includes Qt 5.9.2 libraries. Zero-dependency browser. The only entities that Dooble requires are Qt and you! Made with love by textbrowser.